Carrot science at the local Science Cafe! Charl spoke at the local Bristol and Bath Science Cafe last night (30th of July). It was a fun evening, explaining self-assembly, types of interactions, energies, shape and function of nanostructured materials at the hand of the simple example of bunches of carrots! The venue was packed, and Charl was questioned for a whole hour after his presentation! Thanks to Carl (who was in the audience with Angel) for the photos! Images featured on Physics World’s “Image of the Day”! 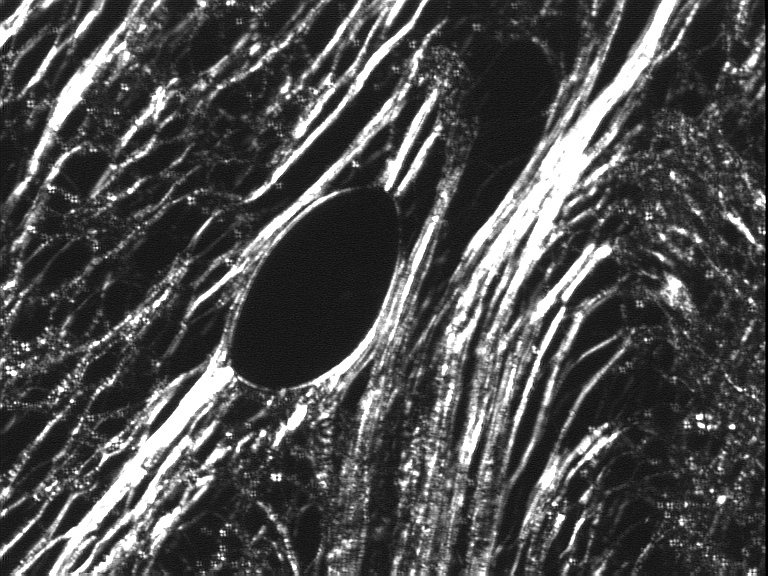 The beautiful images from our Gallery are featured on Physics World’s Facebook “Image of the Day” page for the 26th of July! Great! Charl will be speaking at the Bristol & Bath Science Cafe on Monday, 30th of July, at the Tobacco Factory. As the POM images on the Gallery page caught the attention of organisers, it was decided to add further colourful ones over the last 24h hours! Enjoy! Shao & Saravanan’s paper on the front cover of JMC! The paper with Shao (now doing a post-doc in Sweden), Saravanan, and other collaborators (from Glasgow and Beijing!) 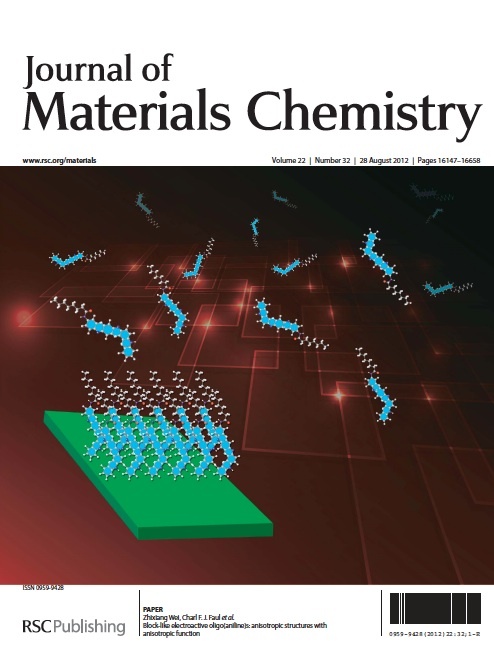 has appeared on the front cover of the Journal of Materials Chemistry! Well done! The FRG went to the Grain Barge (on the harbourside, Hotwells, looking out over the SS Great Britian) after the usual Monday afternoon group meeting to celebrate the recent anouncement that Charl has been promoted to the position of “Reader in Materials Chemistry”. It was a fantastic sunny afternoon in a great setting – the perfect place to celebrate! The International Union of Crystallography (IUCr), with support from the UN, has proclaimed 2014 to be the International Year of Crystallography! The celebration marks the centenary of two landmark discoveries that have changed the way we understand our world. Max von Laue demonstrated that crystals diffract a beam of X-rays (Nobel prize 1914) and the Braggs (father and son) soon after proved that the diffraction pattern can be used to determine the 3-dimensional arrangement of atoms within the crystal (Nobel prize 1915). Almost 100 years later, we rely on these discoveries in a huge range scientific disciplines including physics, chemistry, materials science, medicine and nanotechnology. The aims of the International Year of Crystallography include fostering international collaborations between scientists, increasing public awareness of the importance of crystallography in everyday life and to promote education on the subject, especially in parts of the world that are currently lacking adequate funding. 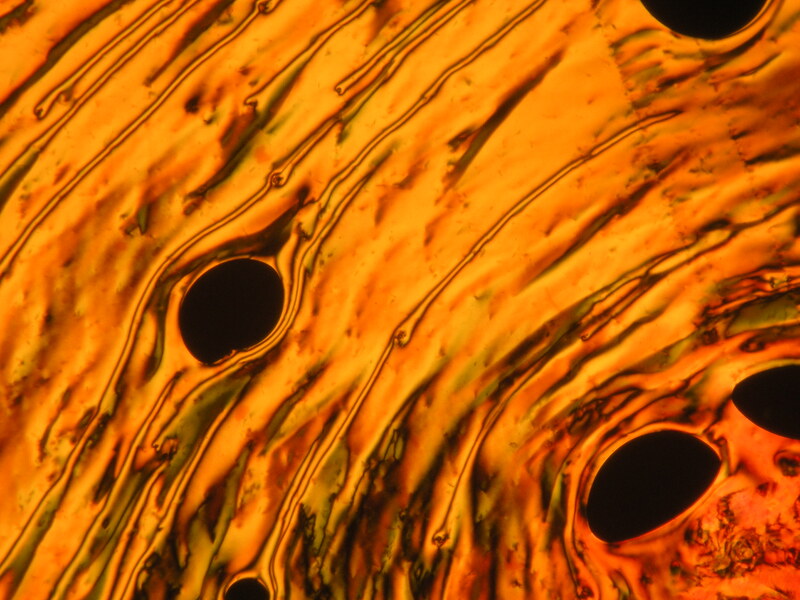 Crystallography is particularly useful for us in the Faul Research Group as the properties of the materials we work with are ultimately determined by the structure and organization of the constituent molecules. 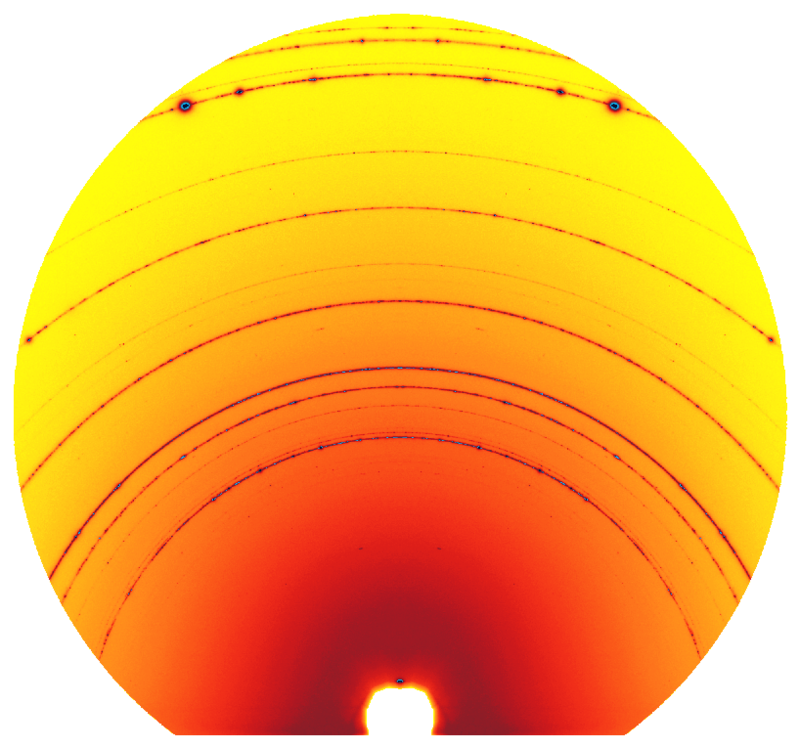 To celebrate, here is one of my diffraction patterns that I have titled Tequila Sunrise for obvious reasons! Prof Huaping Xu from Tsinghua visiting the FRG! Huaping Xu, and a PhD student Kai Liu, from the Department of Chemistry, Tsinghua University, Beijiing, visited Bristol from Saturday – Tuesday. After an interesting day of scientific discussions, Huaping gave an excellent talk entitled: “Selenium-containing Polymers: from Molecular Design to Controlled Self-assembly and Disassembly.” We then all rewarded ourselves by going to the Robin Hood on St. Michael’s Hill! See the link on the University of Bristol’s Weibo pages!